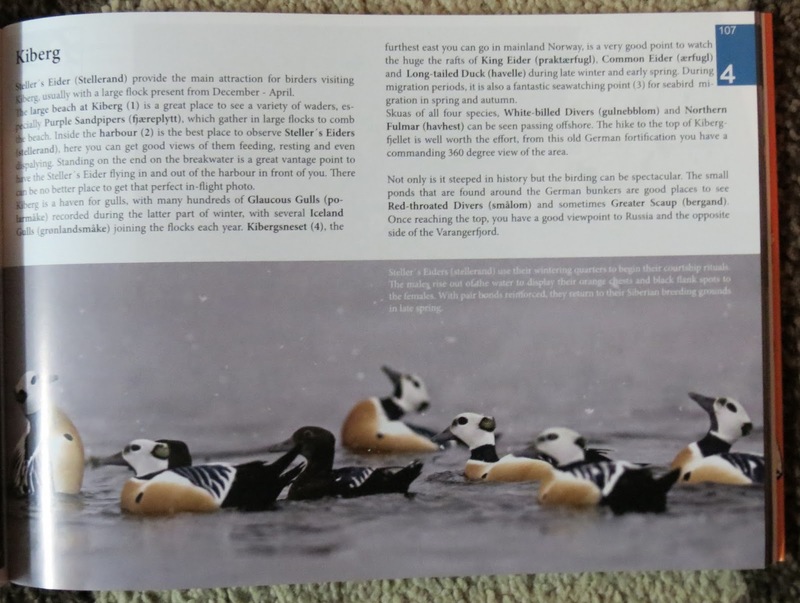 Varanger Fjord is one of those destinations that you can visit time and time again and never get bored of it and for many years now, it has featured in my annual itinerary of birding tours. It is an amazing place, with wall-to-wall birding virtually 24/7 in the summertime and unique in its Arctic avian attractions. Tormod Amundsen lives in Varanger and for the first time, he and his team in Biotope, a pro-nature architectural practise based in Vardo, have put together a detailed site guide to the area - an essential companion for any birdwatcher thinking of holidaying in the area. Varanger is actually the World's easiest accessible Arctic birding destination and is far NE Norway. It is one of the most northernmost inhabited places in the world and lies at around 70 degrees north (in line with Point Barrow in Alaska) bordering both Finland and Russia and the Barents Sea. The book is wonderful and for me, a trip down memory lane. It is decorated throughout by lavish colour and incorporates Tormod's unique trademark drone landcape & scenery photography from cover-to-cover. Biotope's other speciality - hide design - also features throughout, many of these being utilised in the stunning site portraits. The book concentrates on the three key areas of the Norwegian Arctic - Pasvik, the Varanger Peninsula and the Nordkyn Peninsula - incorporating the Arctic Coastline, Tundra and Taiga habitats. 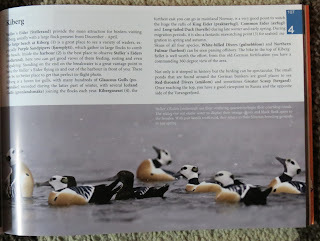 There is a month-by-month summary, giving an idea of optimum timings - eg, March/April best time for wintering Steller's and King Eiders, May for White-billed Divers and October for Glaucous Gulls, as well as an excellent array of local maps and an extremely useful guide to accommodation online addresses and car hire operatives. 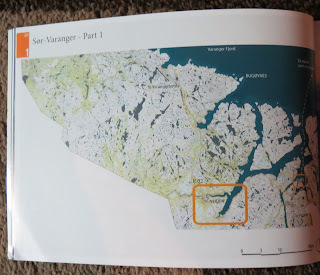 Pages 26-167 then concentrate on the site guide proper, detailing 7 sites in South Varanger in the Kirkenes District, and then over 35 locations on the Varanger Peninsula. 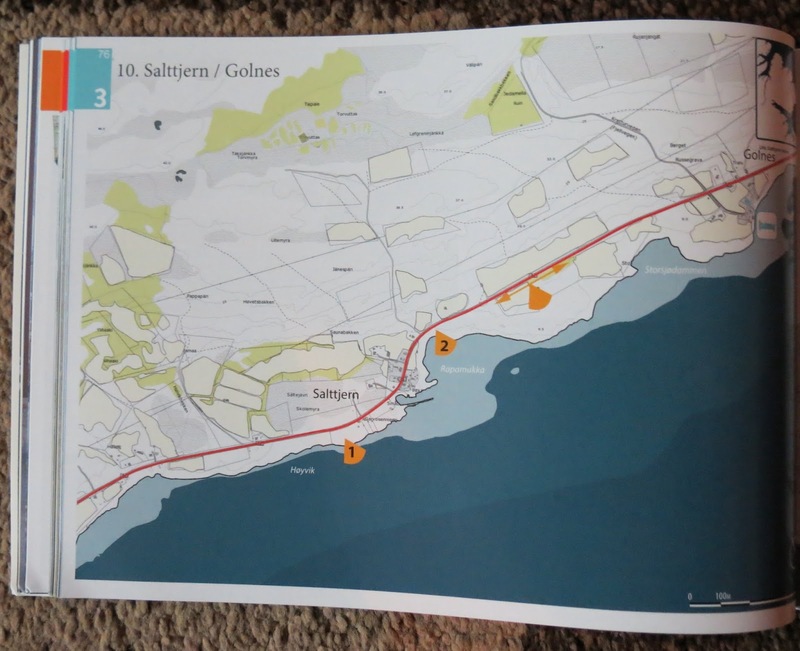 The maps are very highly detailed and for each site, a comprehensive list of the birds & mammals expected to be seen is included. Despite birding in the area on numerous occasions and knowing it well and its birds, I was truly impressed by the number of sites that I did not know about, making me harp for an opportunity to test them out. For example, I hadn't realised that Neiden chapel was one of the best places for Arctic Warbler and that they rarely arrive before 20th June! It also cited many more sites for Willow Ptarmigan and Capercaillie than I currently have, some great new birdfeeders sites such as those in Svanvik and 'new' sites for mammals such as Brown Bear, Wolverine and European Lynx at Skogfoss. I just can't wait to try the book out, it is such a hive of information! 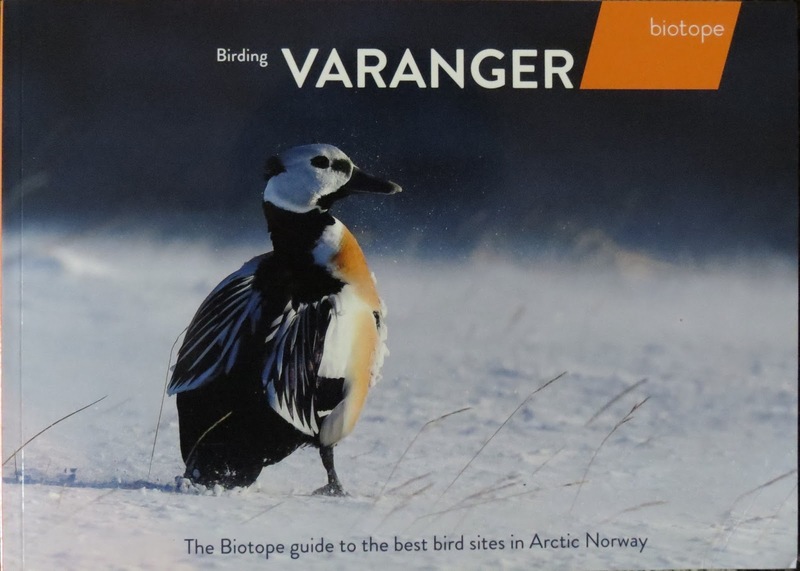 Following on from the location breakdowns is the Varanger Bird Checklist - highlighting all 320 species that have been recorded in the principality. I just cannot fault this site guide - it is absolutely brilliant; I cannot recommend it highly enough.